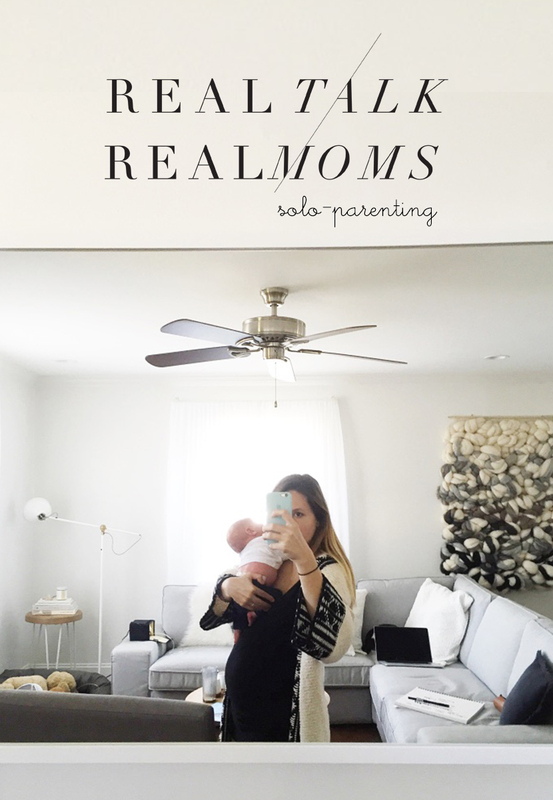 This is the story about how I went from one expectations in motherhood to another and how we entered into days of solo-parenting 1-2 times a month. I along with the other moms in our series are all sharing our own experiences and how we make it work in our houses. You can see the list at the bottom of the post if you want other support and thoughts about it. When Hayes was born I was the main source of our income in our home. I thought as I carried him through those 9 months, I will jump back in to my business. I thought, Mike and I will continue doing our design work and after my 4 weeks (cue the eye-roll because I now know that was insane) of recovering, I will go to partial time and then by 8 weeks be back to it. I can do that, why not? The truth was that wasn’t true. I remember that first 4 weeks as a blur of physical pain, emotional imbalance, the biggest learning curve of my life, and feeling completely out of body 90% of my days. It was all I could do to just figure out how to go to the bathroom like I had pre baby lead alone think about my piling up inbox. I felt the weight become heavier and heavier in a way I never saw coming at me. I remember telling Mike, I cannot do this we have to figure something else out. I felt anxiety coming strong and Mike watched it taking me over. I was far from ready to just get back to it like I believed everyone who did what I did did after a baby. They bounce back and do it, I would be able to too…right? I didn’t and it left Mike and I looking at each other questioning our business and where things would head next. About the time we made the decision to move back to Michigan full time Mike was offered a longer term Consulting Creative Director position for a Fortune 500 located in New York. He was able to provide everything we needed financially especially while we built our house and I began rebuilding my business. We knew this job, though demanding, was what we all needed. 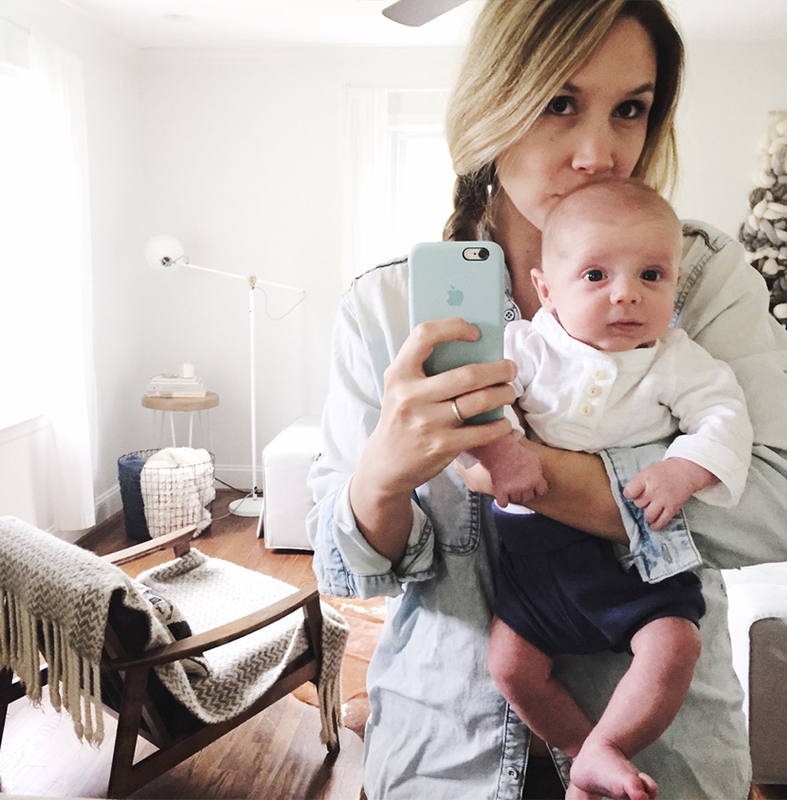 One, it allowed me space to wander my way through motherhood and find my footing again and it allowed Mike to work from home so I had support but to have relatively normal hours as well. The hours were still long but at least he was working just in our spare bedroom even if he worked morning to well past midnight and only stopped to eat ( I guess those aren’t normal hours). Taking this position also meant he would be traveling more. In fact there were weeks when Hayes was just one Mike was gone every other week for at least 3-4 days at a time. 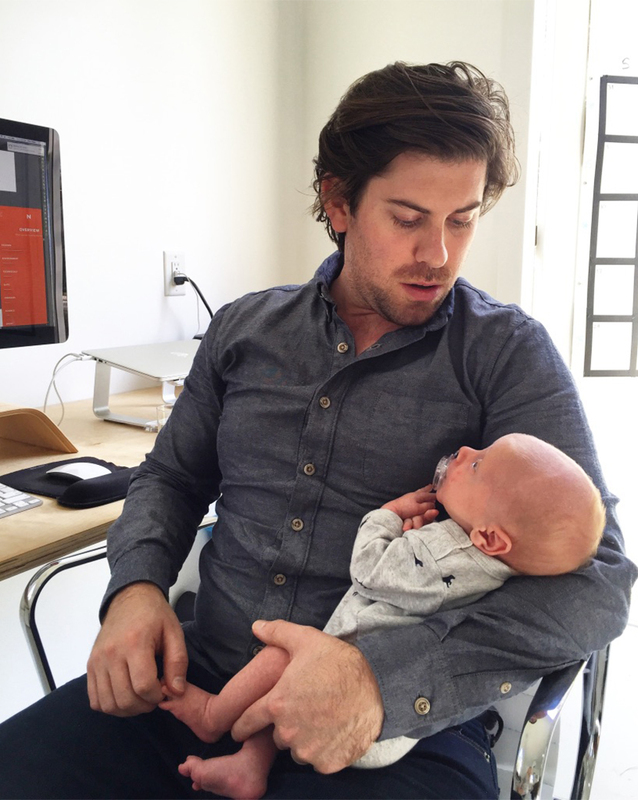 All the hours I was putting into getting a baby to sleep, Mike was equally putting into to creating a safety net and a solid financial place for our family, though it wasn’t always easy for me to see that and vice versa. We found ourselves “siloed” as we call. He was in his world paddling as fast as he could and I was in mine just trying to stay afloat. That said, him taking this job and him working and traveling so much, meant HUGE transitions for us as both a couple and as “business partners”. Our business together began looking different. The concept of “Working Together” looked far from the same and I thought those days were over. I would cry about it, because I missed it. After all, Mike and I had worked side by side and equally on everything in our careers up to this point. I loved this and our relationship thrived in it, but having a child changed that for us. We needed a solid grounding for our family and we chose for it to happen where our roles shifted some. I also felt like I wanted very little to do with branding work anymore so it kind of made sense for Mike to continue on the road while I took a new path. It just meant my work had to come in my free time and I would do most of the parenting while Mike worked, traveled, and pursued his career. I had moments in that first two years of resentment towards Mike because he got so much time to work, which I have learned is my guilty please. I love my time at my desk and having room to just create and I missed the freedom of having endless time to do so or a clear runway for that. I saw him getting that while I was limited. I saw him getting the chance to get to choose the amount he got enter into parenting where I was first and last defense and on call all the time, though I knew he wanted to be there too. It wasn’t easy for him to work long hours, but he did it and still does it for us to have our dream and for me to pursue my dreams while being a mom. I knew his travel was hard on him too. His days traveling were early mornings (3 AM wake ups to make to New Jersey by 10AM), tiring rides on airplanes, airport food, long meetings, and big stressful presentations. Though he loves that sort of thing, there is no way around that they are tiring especially multiple times a month. But what I realized was our balance was off more than anything. I needed time for myself even if I wasn’t back to work in the way I wanted to be. I at least wanted space to start to be. So that was when we got a baby sitter 2-3 days a week and I got space for myself again. The resentment stopped nearly immediately by making this shift for us. I felt more in balance and I began to see that we were working for the same thing and our concept of “working together” had just shifted but it was still there. Sure I had parenting duties more then Mike, but he had the stress of bringing home the bacon that I didn’t (and still don’t) have. Everything I did was bonus for our family, while I built my dream. It was ultimately a gift I had enough room to see just by making a small shift for us. The further we got into finishing our home and getting closer to creating a place that was really home, we also felt more ease with Mike’s long hours and the travel. We found space for family time and Hayes started school. We sure had some fights though when we were both exhausted after a long week of Mike being gone. We always found that a good night’s sleep fixed most of that. The traveling felt less stressful to me having a home base and my days were more consistent. What I began to realize after that first few years and once I found my footing as a mom, was that this wasn’t about one or the other getting something. I realized this was all within a balance. 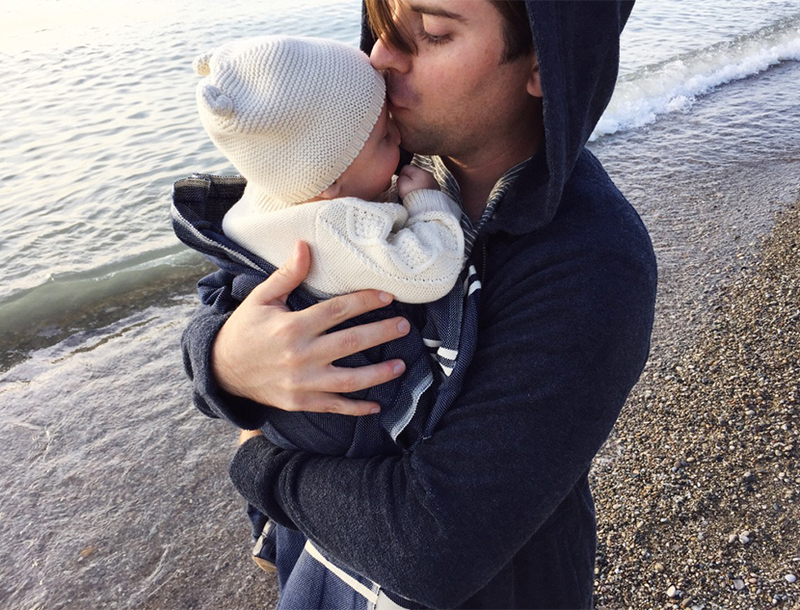 By me taking more parenting on I in turn was offered a lack of financial weight on my shoulders so I could develop my dreams and also have the time with my son when he was young and small (something I never wanted to miss more of then I felt I could). By Mike working this way and traveling, he was giving that security and space to me and what a gift to give to me and vice versa. I know this is a season of life just like the season of working side-by-side was for us. We still are doing that it just looks slightly different and it may or may not look different again at some point. Ultimately we are choosing to fight together for the same thing; building a financially stable life in a place we want to raise a family while pursuing our creative dreams. It just means there are gives and takes to make the dream happen. Communicating about the challenges and weights of those moments is the most important thing I learned. When it feels hard, we talk about it without judgement. We work through it. We ask what the other needs and we bend one way or the other. It took time for me to really see this and grieve this shift of our working relationship, but I am so glad I have grabbed on to this and the understanding of what a marriage and partnership is now in a whole new way thanks to parenting. These days. Mike’s job is similar, his client is still the same plus he has another but he is doing about the same thing. He works remote and he still travels. He has an upcoming trip to produce content with his team and I am both excited for him, but also know it will be hard work for him and for I in different ways. Hayes will miss him. I will miss him. He will miss us. But I know that because he has this amazing opportunity I have been able to create my store and I have gotten to do it while learning who I am as a mother and being present with our son. Mike told me the other day he is debating about taking some time on the trip to take a personal trip and two years ago I would have resented that, but I know more then ever the importance of this for him. I know that by me giving him that we gain a stronger him when he returns and frankly the guy deserves it. Just like he is providing me this long weekend by going to Texas with Hayes and visiting family, while I finish prepping for our upcoming launch. It is a natural give and take to make it all happen because that is how a partnership works. That said, I have learned that my days shift when he leaves. I pray Hayes doesn’t get sick or I don’t get sick so it is smooth sailing. I leave more room for the unknown and my 70/30 rule shifts to more like 40/60 because I know I have more tasks at home then at work. Mike and I don’t have specific home tasks by any means, and things are divided depending on the day, but when I am the one manning the house I do those things he would do as well as I do school pick up and drop off and any other tasks. I get the necessary business work done each day and try to leave one day I can do something for myself unrelated to work as well such as wander a favorite store or have lunch with a friend. I then solely make sure nothing is demanding of us for the days after Mike returns so we have time to recover and relax together. Mike usually takes Hayes and I get time for myself and balance is once again restored. Some weeks are longer then others, but I find it is so helpful to have a sitter and care for Hayes so I at least know there is a certain amount of time for me to get done a few things so I don’t get off balance too much on work and than ultimately my ability to be present with Hayes. The hardest part is that the older Hayes gets the more aware he is of Mike not being there. Though now, he seems to understand it more and we make up funny stories about it all and he can see on a calendar when Mike will return. We always try to really prep him for it all as well. This helps a ton as he knows what is coming. I then usually give him extra attention and sometimes we do something special like pick out a new truck or go get a cookie or something that makes him excited if he starts feeling sad. There was a time where Hayes would tell Mike it was time for him to travel again. Maybe I was making Mike’s time away too comfortable haha, but I find it a great time to really connect with Hayes and to remember how to find room for the unknown things of life amongst my work. I have learned over these last almost 3 years of Mike traveling and me doing solo-parenting, that we have to shift expectations dramatically. I prep my work and my life to accomodate the space I need to be the on-call parent. I also feel thankful to have my family near by (an hour away and my brother 2 hours away) as well as such good friends if anything really crazy comes up. I don’t feel alone, which I think helps my mental state with it all so much. I have a few girlfriends who have husbands that do similar things and sometimes we will get together for a glass of wine and dinner with all the kids. It helps a ton to have something to look forward too so the days don’t feel endless either because some months it can feel like a lot even when I prepare myself. I never thought this would be our story or that Mike would travel this much, but I also know that I work best when the financial pressure is off my shoulders. I create better products and do greater work. I enjoy being successful but I like keeping the pressure off. Not to mention, I see that this season of life where I have a young child and we are thinking about growing our family all while I am trying to grow a business I appreciate having the space to know for now, anything I make with my work is bonus for us. Mike likes that too and we both have found a healthy balance of work, life, and health in this some how. Sure it has its moments that it is hard. The house can sometimes be a wreck or I can be really worn out, but the gratitude I have for it all far outweighs the struggles many times and I know now that it all works itself out somehow and sometimes we just take a moment at time. Nevertheless I have looked at this time now as temporary but also a gift for us all. Life will shift again one day but the hope is that along the way we can find joy in it and remain present. Everything happens at the pace it is intended is my mantra especially during solo-parenting weeks. So tell me, do you do any solo-parenting with your partner? What created that? How do you handle it? How does it also effect your children and not just you? Curious about other’s experiences? You can find other mom’s talking about this same topic.